If you want to add some warmth to your solid-state amp, this is for you. Valve makes solid state amps sound almost like a valve amp. The features beyond this aren't spectacular. Ibanez has a long history of producing great distortion pedals with the Tube Screamer series. 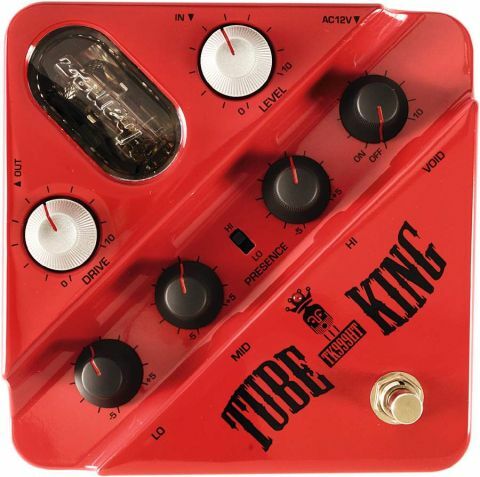 But the TS range were solid-state pedals designed to get the most out of valve amplifiers - the new Tube King is a very different beast. We're always a bit sceptical of pedals with built-in valves. We're not engineers so we don't know just how much the valve contributes to the sound. That being said, the Tube King made our solid-state amp sound like a valve amp and that alone must justify the humble outlay.